SKU: N/A. Category: Medical. Tag: Joint Guard. Joint Guard for Dogs is an innovative formula containing the key ingredients that have been shown to work together to support and maintain the health of your dog’s joints. Glucosamine hydrochloride – a key nutrient that acts as the building block of cartilage to help reconstruct damaged joints, as well as keeping the remaining cartilage cells healthy and functioning properly. The glucosamine found in Joint Guard is guaranteed to be 99% pure, so you can be assured your dog is getting the best possible human-grade source. Chondroitin sulfate – a major component of normal cartilage and also blocks the enzymes that break down cartilage cells. 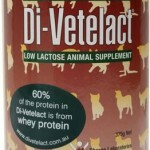 This is a unique easy-to-absorb form of Chondroitin sulphate so your dog gets the maximum available dose. 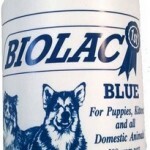 Without the correct dose of Chondroitin sulfate the arthritic enzymes will continue to destroy the cartilage, making it essential to only purchase a product for your dog that contains the proven ratio. 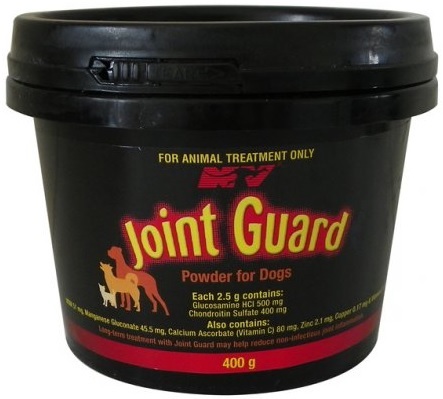 Joint Guard also contains other ingredients such as MSM which acts as a natural anti-inflammatory to help ease the pain associated with arthritis and a unique blend of vitamins and minerals which act as important co-factors to help maintain healthy bone and cartilage.